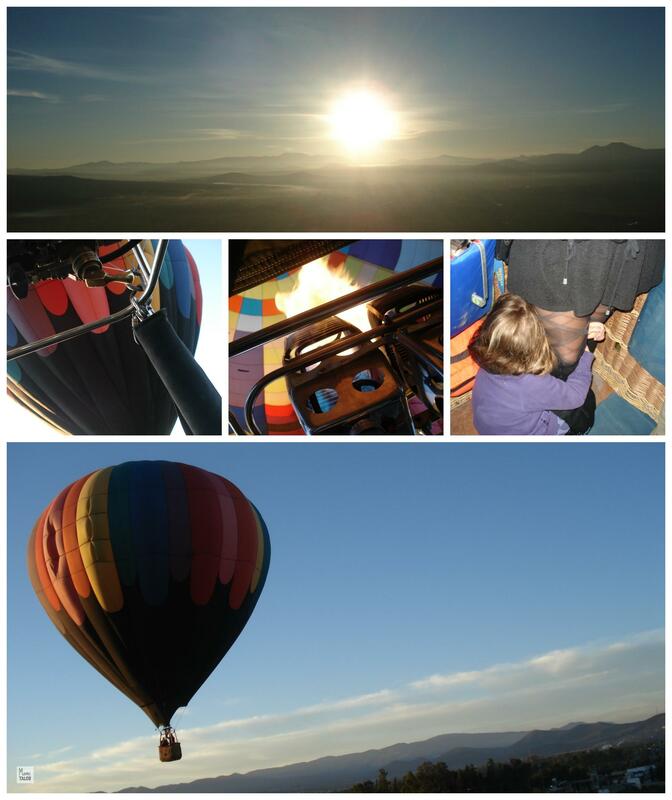 This past Monday, my mom treated us to an adventure of a lifetime: to ride a hot air balloon floating over Teotihuacan. 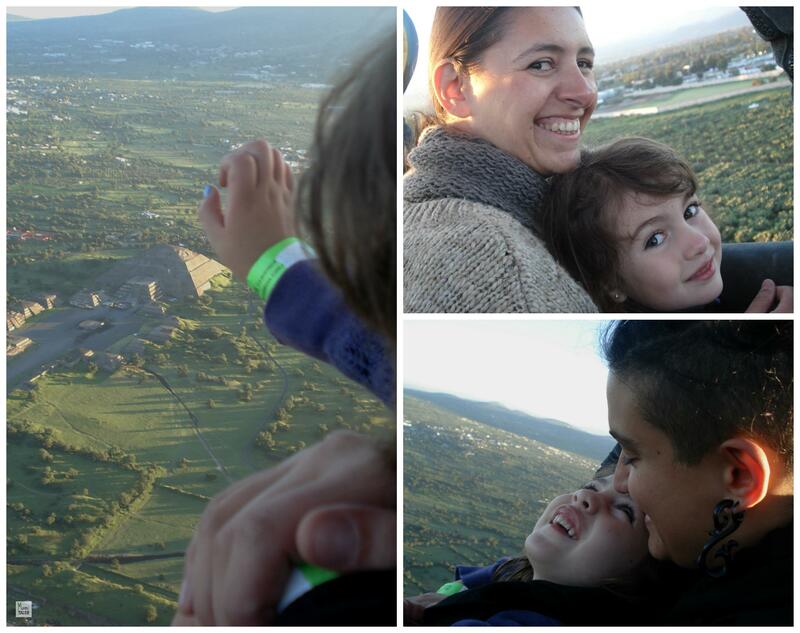 At the break of dawn, we hopped into a hot air balloon to see the sun rise and an aerial view of the majestic city of Teotihuacan (in Nahuatl it means “City of the Gods”). 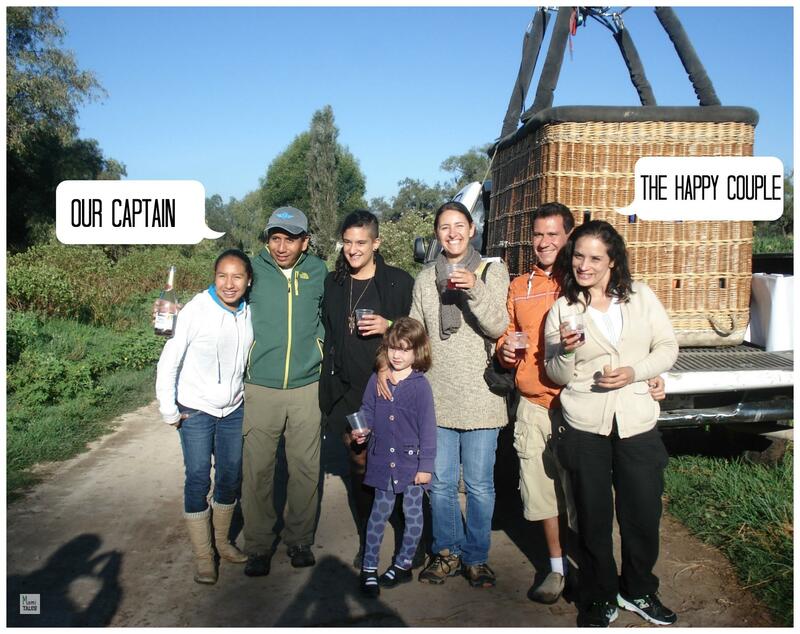 First we met at the Balloon-port, where Captain Oscar and his team unloaded the balloon and the basket from a pickup and proceeded to fill it up with air. Once they finished inflating it with some bursts of hot air, we climbed in and were ready to go! Little Miss I was a little scared of the hot blasts, so at first she scampered down at my feet in the balloon’s basket. But we were ready, and we took off into the sunrise. 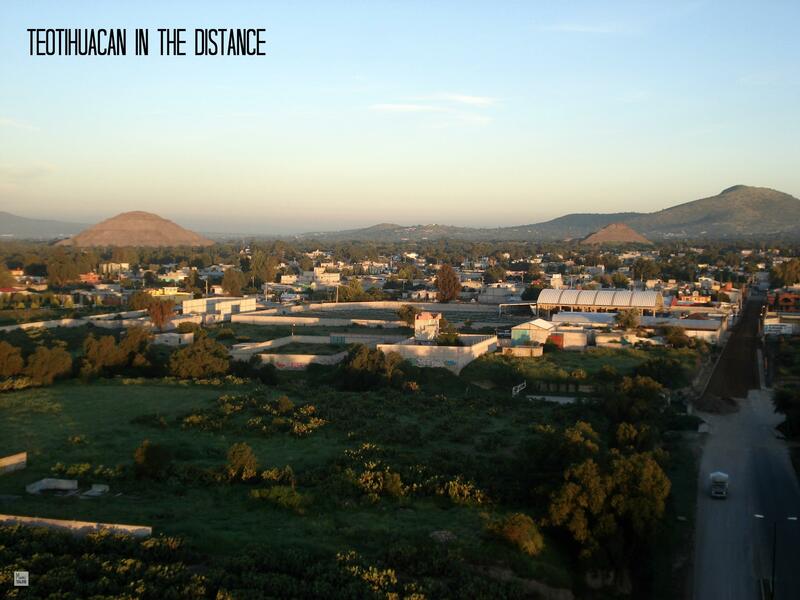 We almost immediately could see the sacred city of Teotihuacan in the distance, with its imposing Pyramid of the Sun. 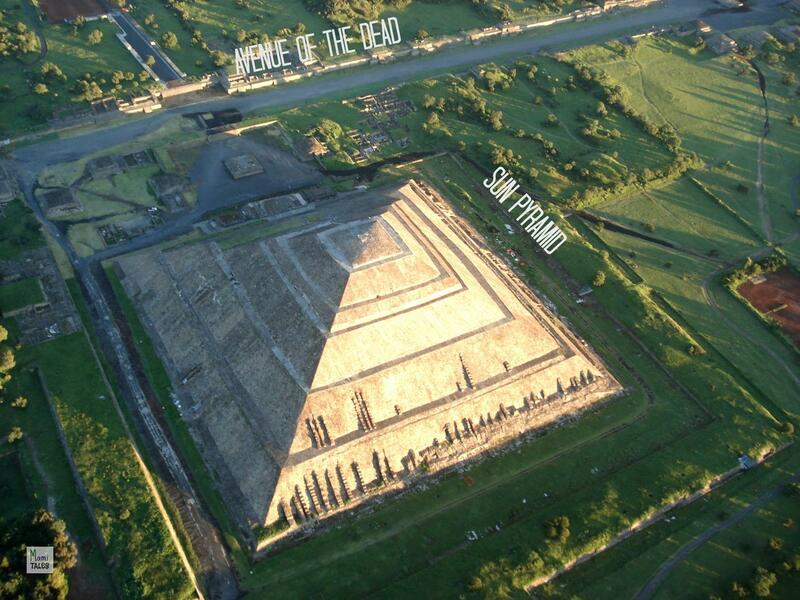 This is the biggest pyramid in Teotihuacan, and the second largest pyramid in all Mesoamerica. It is almost 207 feet tall, and its base is 738 feet on each side. It’s about the same height as Menkaure in Giza, the smallest of the 3 famous Egyptian pyramids. There are 227 steps to reach the top. 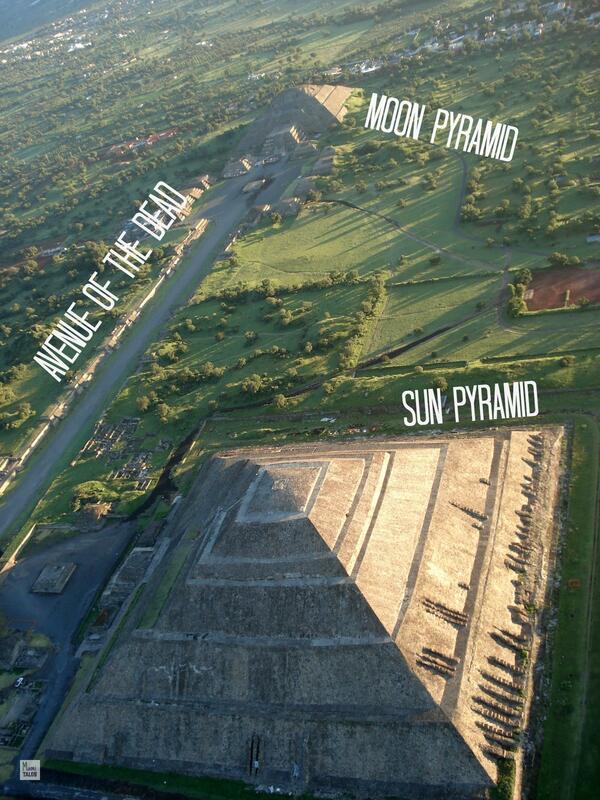 As we came closer, we could also see the moon pyramid and the Avenue of the Dead, which goes from the Sun Pyramid to the Moon Pyramid. Teotihuacan is one of the oldest cities in Mesoamerica. The city dates from the late preclassic period of the prehispanic cultures, somewhere between 200 BC to 400 AC. It is still a mystery who the first inhabitants of the city were, but it is believed they might have been of Otomi or Mazahua origin. By 100 to 200 AC, Teotihuacan was the biggest city in the prehispanic world, never to be matched again in size by any other prehispanic culture. It was about 7.7 square miles, and it had about 150,000 inhabitants. By 900 AC the city had declined and had been mostly abandoned. Only about 30,000 people remained. After 1,200 AC, the Aztecs little by little take charge of the entire central region of Mexico, and they take over Teotihuacan as a place of worship. When the first conquistadores came to America, they couldn’t tell exactly who founded the city, or why it had been abandoned. 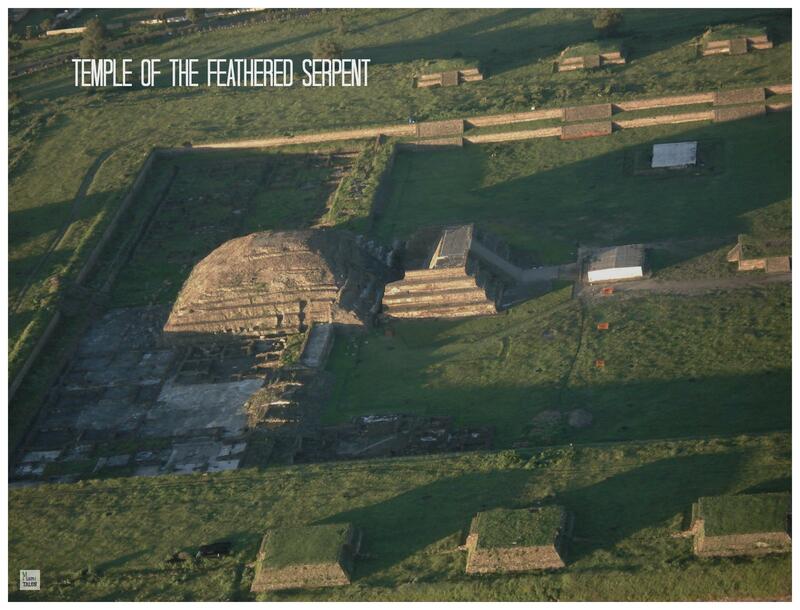 We also flew over the temple of the feathered Serpent, Quetzalcoatl, and Teotihuacan’s Citadelle. After about an hour floating, once we had gone past Teotihuacan, our Captain started looking for a place to land. When you are in a hot air balloon you don’t fly, you float… so there’s no way of really knowing where you’ll be able to land. We found a corn field, and down we went! The captain told us a story of the first flight on a hot air balloon by Jean-François Pilâtre de Rozier and François Laurent d’Arlandes in Paris, in 1783. He claimed that once the balloon went down, the local peasants almost lynched him as they thought they were sorcerers flying in a fire spitting contraption, and thanks to a bottle of Champagne they could prove their identity and not be burnt at the stake. And because of that it is customary to toast with Champagne at the end of each successful flight. I couldn’t find any information about this, but it is a nice story. Incidentally, the couple who were riding with us in the balloon got engaged during our flight. Once we passed Teotihuacan the balloon company had a big banner down on the ground with a giant inscription of “Do you want to marry me?” So we toasted our flight and their engagement too. It was a wonderful experience and I’d love for my baby son to try it out with his dad once he’s older (and tall enough to see). 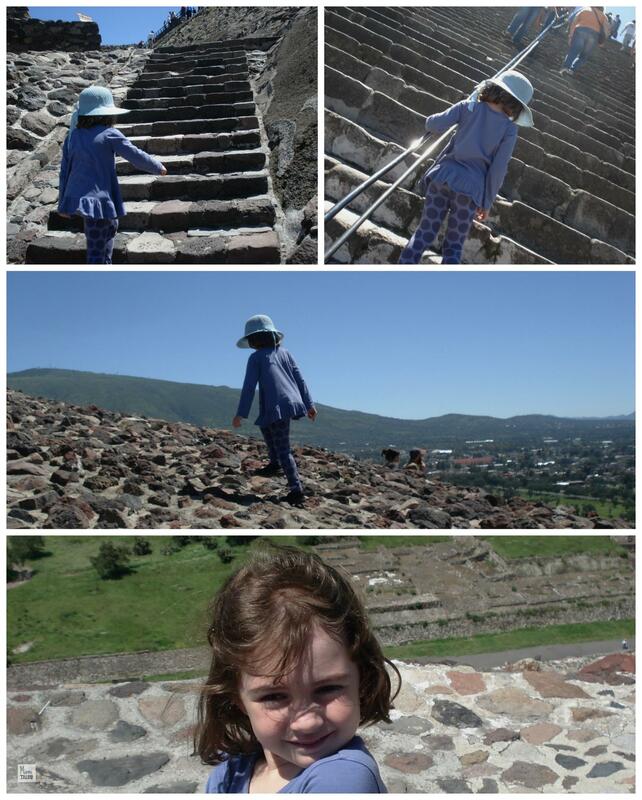 We later went to Teotihuacan to see the pyramids from down bellow, and Little Miss I climbed all the way to the top of the Sun Pyramid. Here’s a quick collage of her feat. If you’ve never been to Teotihuacan, it is definitely one of the things you should put on your bucket list. Que hermoso, poder ver a Teotihuacan a esas alturas! 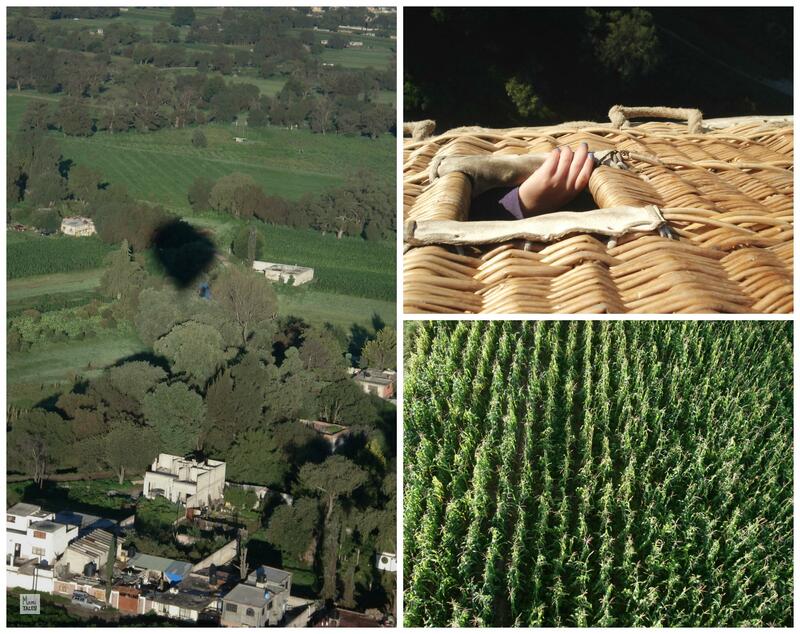 I’ve always wanted to go on a hot air ballon ride pero me da un poco de miedo. What an INCREDIBLE way to see all the sights! Looks like you had a blast! 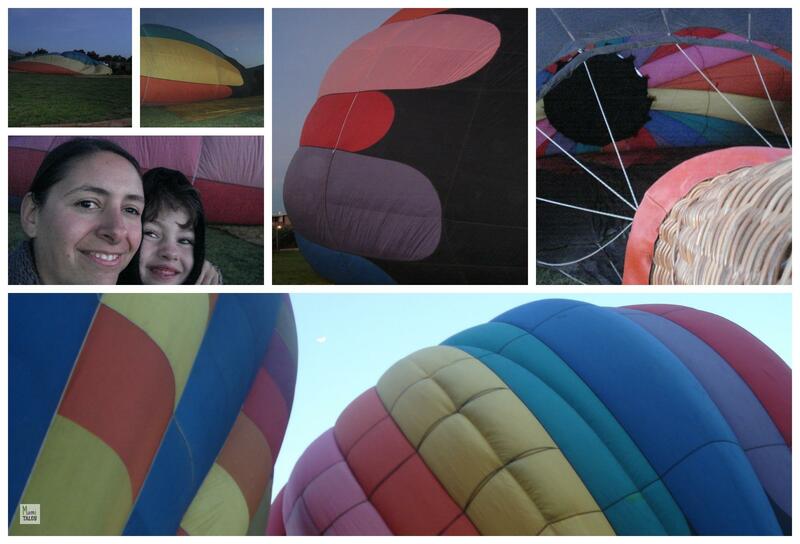 I’ve never done a hot air balloon ride, but I’ll certainly add it to my bucket list! It was wonderful and we all enjoyed it very much. It’s a unique experience and I’d definitely recommend it. WOW what an amazing experience. i have always wanted to ride in a hot air balloon. Beautiful scenery as well, this will be a awesome memory for the rest of your life! Thanks! It was absolutely gorgeous. Glad you enjoyed the pictures too!